NEXT: The Organ Pavilion revivals. Who is John Link Hudson? 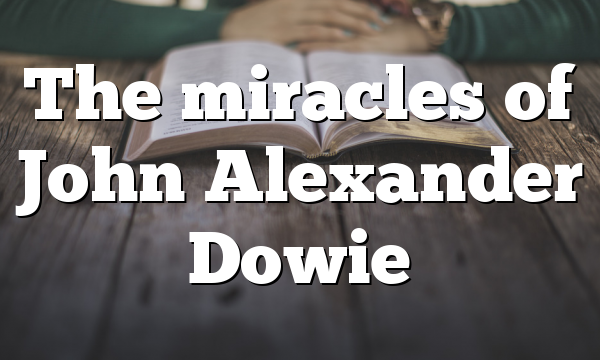 Who counts the recorded miracles exactly? Is John John Dowie? By the way Troy do you have a record of any modern day genuine miracles by an American evangelist? There is some video footage of Branham. I think Roberts Liardon was the one who had the clip in one of his videos. Katherine Khulman’s style was the model Beny Hinn imitated, praying so people could be healed in their seats. There are lots of AA Allen clips online, where he laid hands on the people. I think there is some Oral Roberts footage of him praying for people, too. We have 5000 members iin Pentecostal Theology apart from brother Joe Abshers testimony of raising a man to life and someone healing a blind man in a meeting, the rest(including me) are mum on genuine healings and miracles..
I’m not talking of casting out demons…I’m talking about live coverages of blind men seeing, the mute speaking, the deaf receiving hearing, the lame walking…the dead coming to life…changing water into wine and what about feeding five thousand with two fish and five loaves..
Any living ministers doing that kind of stuff? Isara Mo My wife had a couple of one-off experiences before I met her, a blind child in an orphanage, and a guy who got hit by a bus who wasn’t breathing in Jakarta. She hopped off the bus, commanded his spirit to come back into his body in Jesus’ name, and he started breathing. I’ve seen people report being healed of some different ailments after prayer and the laying on of hands, including my own. But not the more spectacular things, like blind people or limbs growing back. You could look up Pete Cabrera videos. He’s on Facebook. I’ve talked with him on the phone once or twice. Blessed is your wife.Let her stir the gifts for the benefit of many.. This is the first time I have heard of Pete Cabrera..
Let me check him put. Pete Cabrera Jr. He’s a facebook friend of mine, too, but he’s got some videos on YouTube. He worked at a soup kitchen and would minister to the sick and recorded it. He’d prayed for lots of people who did not get healed, then saw a video of Todd White praying for someone who got healed. He saw how simple it was. Lot’s of interesting videos, some a little unusual. He liked to experiment there for a while with praying for spoons and giving them to people, commanding legs to be longer and shorter and stuff like that. 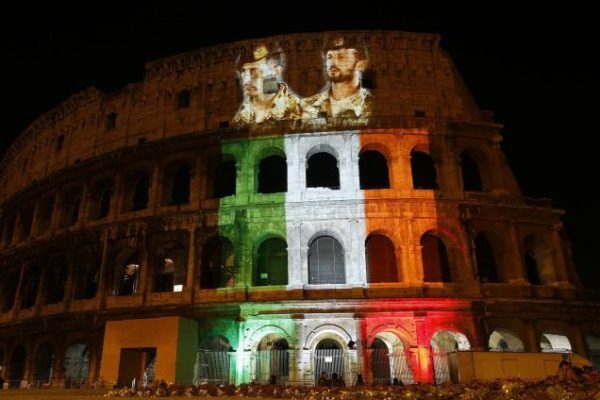 Have checked five of video clips….impressive stuff. Let me watch some more..
yeah Link NO THANKS https://www.youtube.com/watch?v=Z92ei36zU64 whos taking notes here? I’m bouncing around on this video. He seems more articulate than several years ago when I saw him on YouTube. He doesn’t believe believers can be demon-possessed. That seems to be a favorite topic of his of late. Several years ago, there are videos of him praying for people in the homeless shelter. A bone popped when he prayed for one guy. Another woman couldn’t lift her hand higher her shoulder without pain until he prayed for her. He had a video of a woman getting out of a wheelchair. Her atheist friend knew her before and after but did not know how she got better. He showed her the healing video. The contraversial video at the time was the video where he kept telling a guys leg to grow and shrink. It was shot from an angel so that if it was real, it could easily have been faked. The guy stood up with one really long leg. A skeptic called it a lie. If it was true, it was just a poorly shot video. I messaged him and suggested he not play if he’s doing miracles. He apparently listened to me. He prayed for me on the phone. I still ended up getting surgery over the same issue a couple of years later. So it’s not 100%. Tom Fischer does street healing videos. There seem to be a number of healings in his videos. I’m not saying it’s all AA Allen level. Tom seems to ‘reach’ a bit trying hard with the word of knowledge thing, as seems to be the trend these days. Or that was a few years ago when I watched his stuff. I called him on the phone a few times several years back. I think I prayed about a wife for him. I remember talking about that with him. He did get married, and his wife is his partner in the street ministry with him, which is good. There are some videos from guys in Miami. There is also the “New Reformation” with Torben Skandergaard if you are looking at YouTubers with healing ministries. He’s a house church planter who seems to be trinitarian but believes in saying ‘in the name of Jesus’ at baptism. He has a lot of videos of excorcisms right after baptism, too. A lot of Torben’s healing videos involve praying for minor injuries and ailments of people on the street– usually young people since they are open to talking, and using the healings as a tool to open people up for evangelism. He seems to be more about evangelism and healing is just a part of that rather than the main thing. Torben goes around ‘kick starting’ other people who want to go out and pray for the sick and heal. He also very much emphasizes speaking in tongues. One of his videos shows him winning the singer from Mambo #5 That song with “…a little bit of Jessica” and a list of a lot of other women. Troy Day Pete Cabrera was in some town in Kansas, working in a soup kitchen. He prayed for a lot of people who didn’t get healed, saw someone get healed in a video and got his faith stirred up. Then he started making a bunch of healing videos on YouTube. Then he started doing seminars. Seems like I saw or heard some connection to him and an A/G. Maybe he was doing a conference in one or attend one. He has about Christians not being possessed on Facebook, offering $1000 to someone who could prove otherwise from the Bible. What are your objections to the video? I’ll have to admit I’ve just sampled bits and pieces. But maybe you could show us a minute marker, Troy Day. Around 2007, my prophesied that the Lord was going to use children to do miracles in Indonesia. Soon after, we heard about Selvyn, a girl of about 7 or 8 in central Sulaweisi, a place where there had been fighting of Christians against Muslims and there was a lot of division in that regard. This little girl liked to pray the Lord’s prayer and lay hands on people. It started with a guy with a broken leg who was healed. Soon afterward, there were tents of sick people outside her house in Tentana, waiting for her to lay hands on them. CBN’s branch in Indonesia puts out Solusi, which has been a pretty high rated show. They did a piece (in Indonesian) on Sylvin and the healings . My wife and I went to a certain National Prayer Network. A pastor who had been spending some time with Selvyn shared his testimony. He’d been the head of a traditional church denomination, Reformed I think, but he was Charismatic. He’s in the video, but I think he went by Bambang in the meeting. This preacher had been jailed on some trumped up charges, if I remember right. That happened in those parts. The government had executed a Roman Cathlic guy on weapons charges soon before these events. Another brother who had been to Tentana had seen a guy who was blind whose eyes had been healed. He had a few photos he’d taken before they told him that photos were forbidden. Selvyn’s parents were protective of her and might let her out to pray after school some. They say the mother prayed and asked to be able to be used in healing and it started happening. I heard the mother or parents didn’t want someone there actually doing evangelistic preaching. Maybe it was a security concern. It turned me off to hear that, but maybe there were people doing one-on-one. I don’t know. There was a lot of gospel hymn singing going on there. Solusi did a follow-up piece where she was joined by a boy preacher. This was many years ago, and I haven’t heard of it continuing as a long-term thing. I don’t know what happened with Selvyn either. I should have asked the head of CBN over there. I had a conversation with him in Jakarta when I lived there last year and did not think to ask. I hadn’t seen him Mark since soon after I’d married my wife. We went out to TGI Friday’s with him and his wife back when we were dating once. Link Hudson did you even read the article? What were these random mentions you post have to do with the OP? Sorry, those should have been in the subthread in response to Isara Mo. Great article thank you. Very encouraging. What I was wondering when I read this is why didn’t she get a team of people to help her pray for the sick and preach? Jesus had 12 men around him who he sent out to preach with the power to heal. We don’t impart the power to heal to people, but we can pray for God to do so. We can pray for God to show us and send people. And your average rank and file believer should be able to pray for the sick. This is kind of ‘scientific’, but she could have rotated through Christians who wanted to pray for the sick with her at the crusades, and just kept the ones whose prayers saw results. That way, the crowd wouldn’t just all line up in her line or wait until she was the one doing the praying. Jesus had 12 disciples, and He still had crowds mobbing him while the disciples were with him. But McPherson and other evangelists aren’t Jesus, and other evangelists can be ‘just as good’, not the case with the 12. You certainly got something special with Jesus that you didn’t get with the Twelve. Who wouldn’t have wanted Jesus to heal them directly as opposed to it coming through Peter or Judas Iscariot? But a lame or blind man may be happy to get it from God through whatever means. Over time, and in some cases due to the practicing-medicine-without-a-license contraversy that our forebearers cleared up for us, some preachers would have everyone lay hands on themselves or pray for others in the pew. Benny Hinn, imitating Katherine Khulman seems to use this method almost esclusively, having people come up with testimonies later, rather than the laying on of hands. I certainly think there is a benefit to ministering to one sick person in front of a crowd. If that person is healed, it demonstrates the gospel more than someone saying they were healed of some undetectible internal problem, testifying of feeling a tingling in response to the evangelist’s question “What did you feel go through you?” There is little evidence for the skeptics in that. So there are some advantages to the old style of actually laying hands on individuals like early evangelists and others up through Oral Roberts and AA Allen did in crusades. But if you have dozens of people getting healed in front of the crowds and the other isue is ministering to all the sick, it makes sense to have some help, IMO. And the training and growth opportunities would be quite helpful. I vaguely remember the details of RW Shambach’s first experience casting out demons, but it seems like AA Allay have had some help getting the demonized ministered to without it all going through him on stage, though he did that too. Troy Day maybe she had a team in San Diego we donot know about. I was talking about her tiredness. Anthony Quinn wrote he saw a blind Person healed in one of ger meetings. Troy Day Maybe she learned to train teams as a survival strategy, and a strategy to be more effective with the healing part. I was thinking of teams to minister healing as opposed to only ushering. What do you mean by this Link Hudson ? I did not know Allan like Melvin Harter but I did now RW personally and traveled with him some. How is this in ANY way relevant to the miracles of sister Amy described in the article? All 3 of your comments have been sidetrackers to another men figures – do you NOT recognize women in ministry working under the miracle power of God? Aimee Semple McPherson conducting a healing ceremony at the Spreckels Organ Pavilion in 1921. Police support along with U.S. Marines and Army personnel helped manage traffic and the estimated 30,000 people who attended. The healings present a monstrous obstacle to scientific historiography. 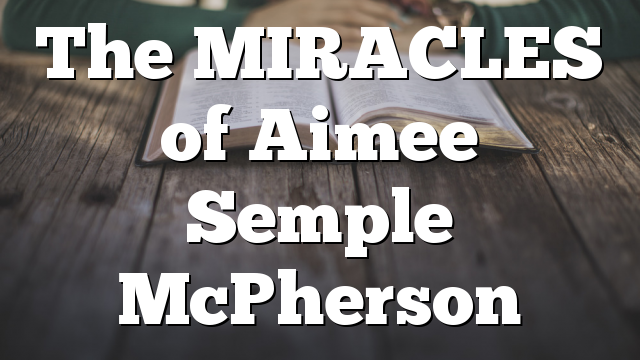 If events transpired as newspapers, letters, and testimonials say they did, then Aimee Semple McPherson’s healing ministry was miraculous…. The documentation is overwhelming: very sick people came to Sister Aimee by the tens of thousands, blind, deaf, paralyzed. Many were healed some temporarily, some forever. She would point to heaven, to Christ the Great Healer and take no credit for the results. Understanding biblical eschatology (study of the “Last Days”) is actually really simple… When reading the New Testament just “pretend” that you are reading an actual true story, and that when the text clearly describes that someone is standing there looking someone in the eyes, talking directly to them, just pretend that they were (actually) talking to the (actual) person or people the verse (actually) records that they were (actually) talking to, especially if they keep using the word “YOU” while looking at them and talking directly to them. Then simply “pretend” that whatever they were being told was (actually) relevant for the (actual) person that it was (actually) being told to. No seven-night end-times seminar about ten-headed dragons and ascending golden cities needed. It is a true story that was to and for and about the (actual) people it says it was to and for and about. But could it (actually) be that simple? I believe it is. And I also believe that our hearts have always known it. Or have you done your PASTOR’S homework? Have you studied to CONFIRM what was taught to you? Or have you studied to QUESTION what was taught to you? what does this have to do with OP and sis Amy? OK – what did she pretend? What’s your point? Pure faith is synonymous with the child attitude. The Christian Savior, in describing the ways of attainment of the spiritual condition of faith, is reported by Matthew (18:1, 3) to have said, “Except ye become as little children, ye shall not enter into the Kingdom of Heaven” –that is to say, you must be as receptive as little children.